What a pretty bird! Reminds me of a Magnolia Warbler, which is what I thought originally from the side view, but without the streaks on its belly. 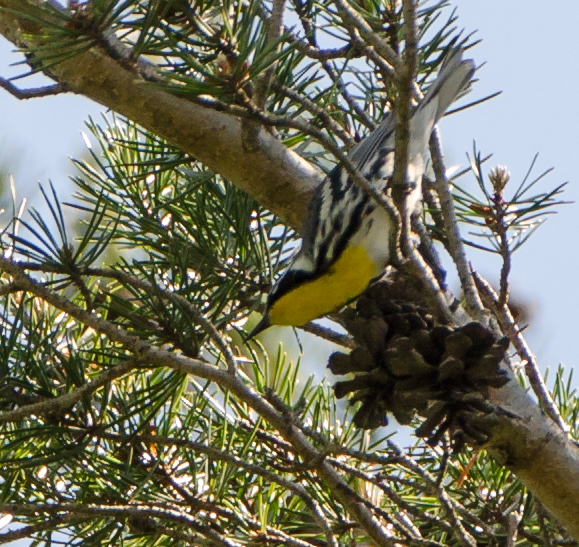 I see from the Audubon site that they like the pine woods and cypress swamps down south, which I looked up because it was in a pine tree and I’ve found that certain birds (such as pine warblers and pine siskins) like coniferous trees. In the Midwest they are typically found in riverside groves of Sycamores, which would be really useful information if I knew what a Sycamore tree looked like. 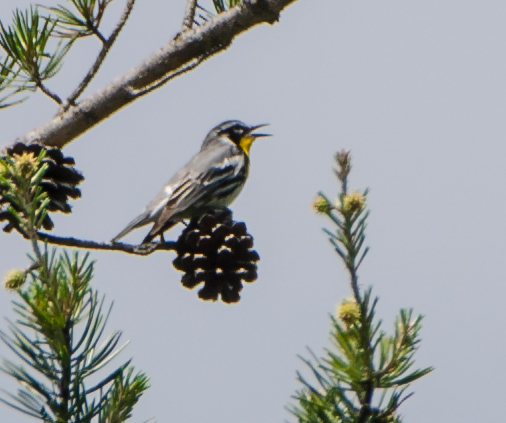 In fact I do not have a Yellow-Throated Warbler. It sometimes pops up here during migration, but it’s infrequent enough that people report on it. It’s on my bucket list along with a whole lot of other birds you have (and you have shots of a lot more birds than I do). You actually do know what a Sycamore tree is since our neighbors on Dawn (Ed and Vi – rest in peach) had a huge Sycamore in both their front and back yards. Never saw a Pine Warbler or a Pine Siskin in one, but that may be a stretch knowing at that time I thought there were just Robins, Cardinals and Blue Jays in the area. 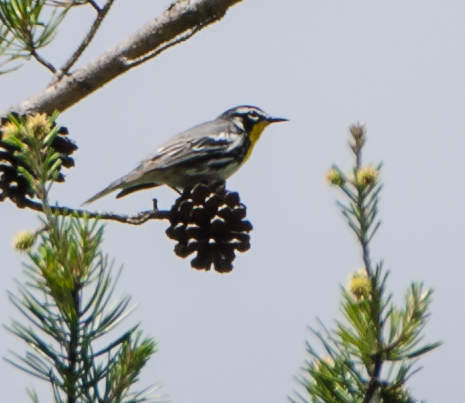 I figured you didn’t have a Yellow-Throated Warbler because I’ve never seen it show up on your photography blog. As a matter of fact, your entire bird count has took a significant hit ever since you opened the doors on that blog. When is the last time you posted over there?!? Must be tough not being able to count birds unless they show up there.